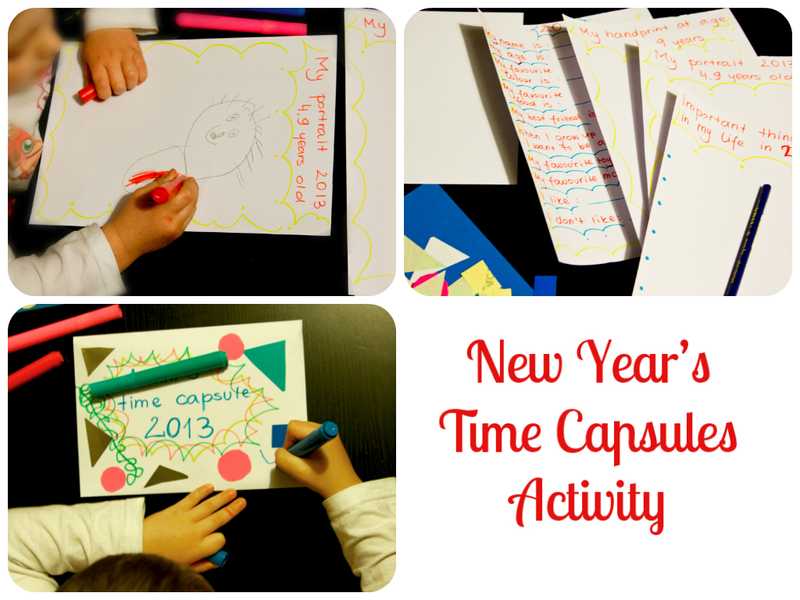 We end year 2013 with great idea from Imagination Tree - the time capsule! We've spent great time with Mr Frog tonight making our own time capsule. I explained him what is it about.. That was a great starting point for conversation about now, past and future. I prepared some card with some questions and tasks - drawing own portrait, hand print, write about important things happened in 2013 etc. Then we put everything in big envelope decorated by Mr Frog(it's easy to storage for me in special memory box I keep in my wardrobe :).